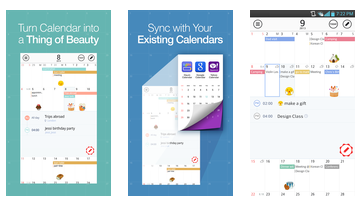 If you are bored with monotonous calendars on your device, the application SolCalendar just something that you need. Turn your boring and mundane calendar into a work of art and beauty. This application works well with all the previously established calendar on your phone that supports CalDAV. 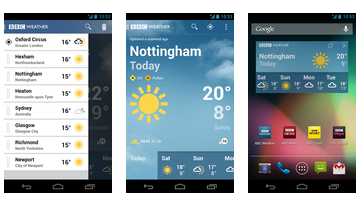 BBC Weather app combines the ability to always know the exact weather forecast from the famous news agency and stylish widget that can decorate your desktop. Wherever you are, build your pans correctly, knowing the weather forecast you are ready for any surprises her, so they will never spoil your mood. Photo Calendar app is very convenient, simple and elegant for a calendar widget that provides you changing the photos in its decoration. Make a gift to yourself or your family that will be able to witness the best moments of life right on your desktop, in fact, as this calendar, it carries an additional and useful information. 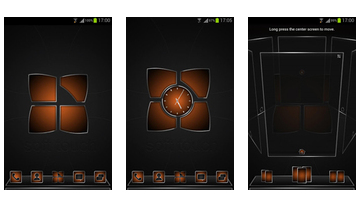 SoftOrange application is a logical addition to the newly released Next launcher, theme, and for which it will serve. 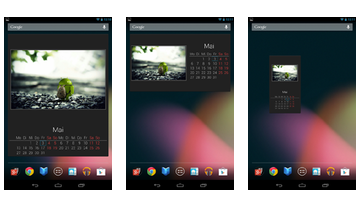 This is not just a beautiful theme, it's a great opportunity to showcase all the advantages of the new launcher and give you an idea of ​​what beauty was created. 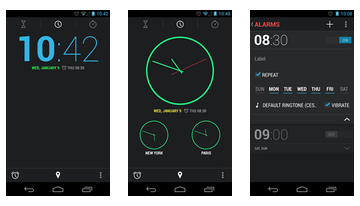 Appendix Clock JB + is a great opportunity for all owners of the android less than 4.2 but more than 2.2 hours to get great from the latest version. In general, it is a small thing, but a nice little thing, at least something will get, besides the watch is very nice. 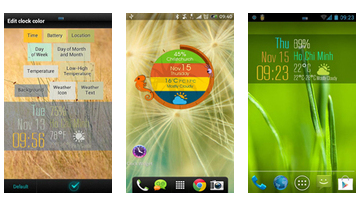 HD Widgets app is an indispensable set of widgets in high resolution for your android, ideal for both tablet and phone for. But keep in mind that they are focused solely on higher resolutions, otherwise the meaning is lost. 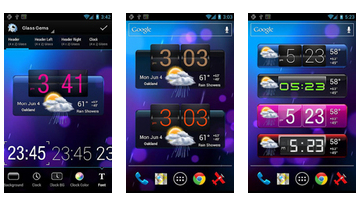 Appendix Beautiful Clock Widget Pro is an amazing and of course a very useful widget for your desktop on your android, available in version "Pro". What could be better than a beautiful and informative watch? Appendix Android Tuner is an indispensable widget for your android that allows for a lot of the most popular settings directly from the desktop. Feel free to enter the era of fine-tuning, convenient monitoring and low power consumption, together with this wonderful application. Cellular Network Widget Pro is a useful and important widget for all who are concerned reliable and high-quality communications. 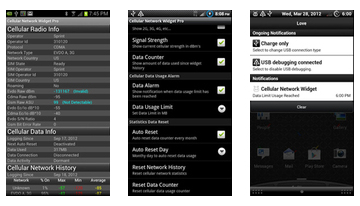 Widget allows real-time monitoring of the level of the signal from your carrier, showing it clearly and correctly. 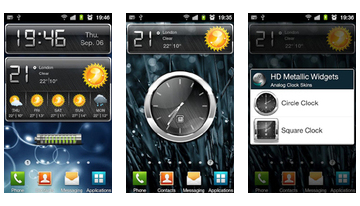 Program HD Metallic Widgets is a set of very stylish widget for android made ​​in metal style. The elegant and quite simple, they are perfect for any desktop, iron is always in fashion.
. Any Android software may be included in several sections. 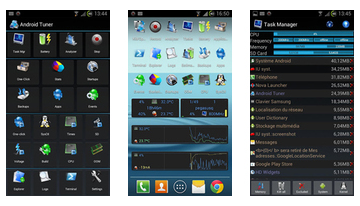 In the widget, as well as throughout the site, you can all Android software for free. 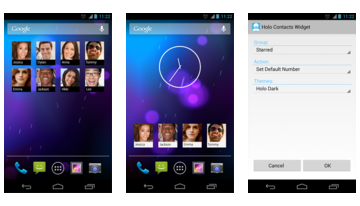 compatible displays games and applications for Sony Ericsson Xperia pro. We tried to examine each application compatibility, but no guarantees can not give. 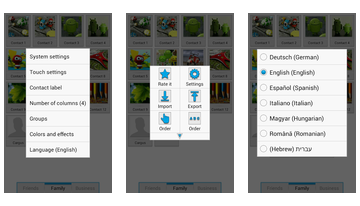 To display all the applications cancel the filter.